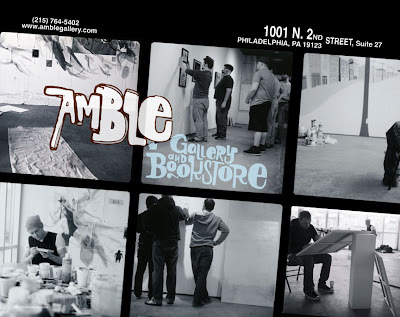 The Amble Blog: Yay Advertising! I designed this today and part of yesterday and now it is out to print. woot woot! Meg and I are backtracking and doing all the stuff that earns customers. New stock coming soon, and maybe even a newer look! Anyway have a good day ya'll.